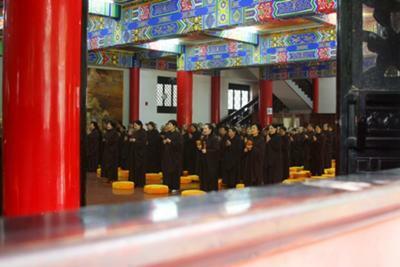 These are nuns singing at the Buddhist Wenshu monastery in Chengdu, China. You could just sit in the gardens and listen to the nuns. The monastery was a completely lovely oasis of calm in the otherwise frenetic city!